Why choosing safe toys for babies is very important? Mostly you can see parents can buy the nay toy for his baby what the baby want but you can choose the best toy for the baby which would be safe for the baby. A safe toy always provides the bright future to baby along with baby can play in a safe atmosphere. You can read the many stories of the incidents that the baby is harming by the toys during play with the toy. Before but the toy for the baby you can read the label of the toy that he is not build up with harmful chemicals or safe for the baby. 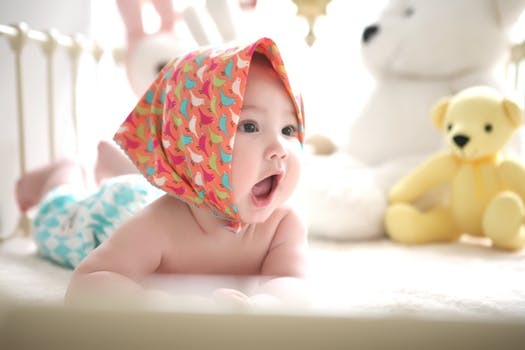 This is a good idea to buy the best toys for the babies along with you will have the knowledge about the products which is good for the health of baby or not. After reading the label you can show the right way to your kid how to use the toy or this is the best way to make a safe environment for the play zone of the baby. You can buy the best toys for the development of the baby or can buy the puzzle toys or any development toys for the baby which is safe for the child. There are many companies in the market who sell the different toys but find the best one who provides the best material toys at reasonable prices. You must concern with the doctors for the development of the toddlers or use some general knowledge as like a parent of the kid. You can but the large toys for the babies who underage of 3 years old otherwise the toys will be harmful to the kids. The large toys maintain a safer environment but buy the tight toys which are not broken up during play. Make sure you will buy the larger toys that prevent the child from choking the toy in mouth. If you are going to buy the toys for the baby then avoid the louder toys because the louder toys cause many ear related disease. Also, avoid the shooting toys because the shooting toys also harmful for the babies and it can damage the eye of the baby sometime. Be careful about the toys that are including the bottoms or batteries because the toys are harmful to the young child. It also includes some deaths also when the kid is swallowing the buttons or batteries or little objects. So, be aware at the time of buying the toys for toddlers and only buy the best product or good quality toy for your baby. Look for the good toys which are made up of good fabric and buy the stuffed toys for the baby which is big. Always checks that the toy will be fully stitched with machine or washable in the washing machine to prevent the harmful germs to the baby. Best soft toys are good for the kid’s health because the kid is not swallowing the little objects of the toys. You can concern about the toys that you buy for the babies along with use some common sense for buy. Avoid the toxic toys for the better health of kids or buy the best toys which can help the toddler to grow up the knowledge of the toddler. The best toys can help to develop the skills or mental abilities of the kid in a perfect manner. Sometimes parents can buy the digital toys for the kid but you can check the age of the kid before buying or checks that the kid understands the right way to use the toy. This would happen sometimes like parents can buy the expensive toy for a teen but the baby can break the toy because he doesn’t have any knowledge about the toy.